The Lusaka business district, Zambia, 2014. 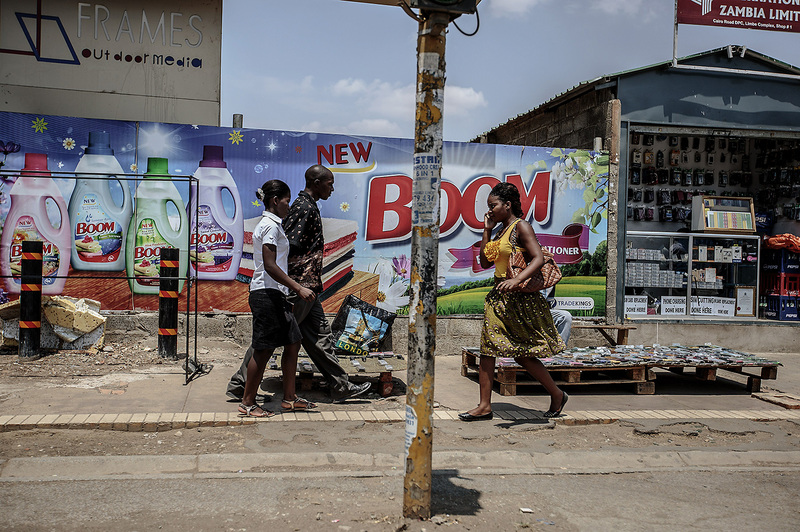 For decades, Zambia had been the flash point of anti-Chinese sentiment in Africa. Late president and outspoken opposition leader Michael Sata was unrivaled in his seething criticisms of both China and the Chinese who had migrated to his country. Prior to his election in 2011, he famously slammed the Chinese for paying “slave wages” at Chinese-owned mines and at another point suggested Beijing had designs on conquering Africa: “the Chinese are not here as investors, they are here as invaders,” he said. Ironically, once Sata became president he reversed course with regards to the Chinese and became one of Beijing’s more enthusiastic partners in Africa. Although Sata’s views towards China evolved, Zambia’s reputation as a focal point of anti-Chinese attitudes, or “Sinophobia,” in Africa remained, particularly among a significant number of international journalists, NGOs, and academic scholars. That Sinophobia in Zambia regularly expresses itself in fanciful ways, ranging from false rumors that China was exporting cans of human flesh to be sold as food in Zambia or that China had planned to take over the country’s national television broadcaster. Western Journalists and scholars have also written extensively on the growing Chinese population in the country and suggested that Chinese migrants are increasingly unwelcome by indigenous communities. A lot of that western media reporting and scholarly research, though, misses critical context. By examining Chinese migrants and companies in isolation of other races or nationalities, there is no way to contextualize the Chinese as being better or worse than other groups. Without understanding Zambian perceptions of the Chinese in comparison to those of other ethnic or foreign national groups, a lot of the research and reporting on the subject is irreparably flawed. Hong Kong University of Science and Technology Master’s candidate Lu Yao recently embarked on one of the first academic studies to properly contextualize Zambian views of the Chinese within the culture’s broader racial/ethnic paradigm. Her research concluded that Zambians held mixed views of the Chinese (not regarded as highly as white people but also not as bad as how Zambians feel about Lebanese migrants). Yao, who was born in China but grew up in Zambia as the child of expatriate doctors, joins Eric and Cobus to discuss her recent findings and the politics of race and ethnic identity in Zambia.